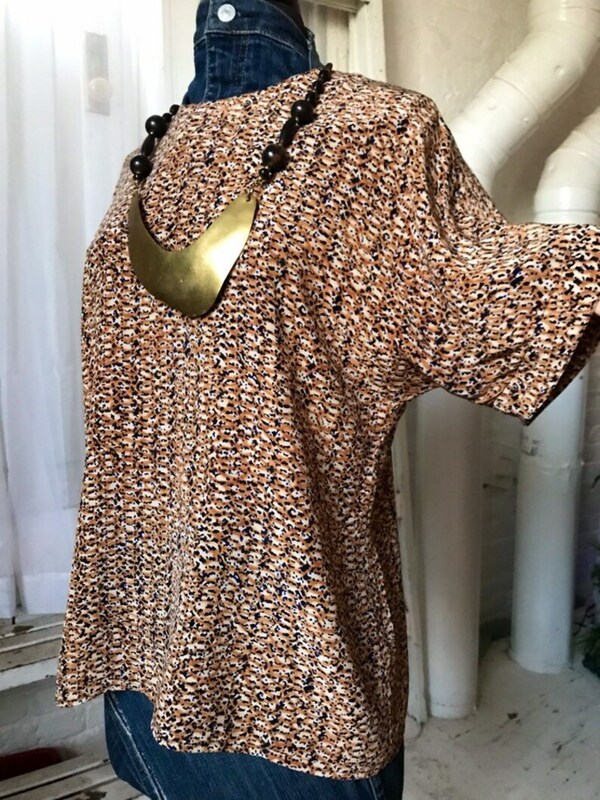 This Leopard-Like print on silk is a perfect blouse to wear w/ your favorite statement necklace and pencil skirt/denim/leather bottom.. add your staple coat & you’re ready for the day/night. It’s a size 8 with buttons up the back for exit/entry. Check the pictures for sleeve & print details!